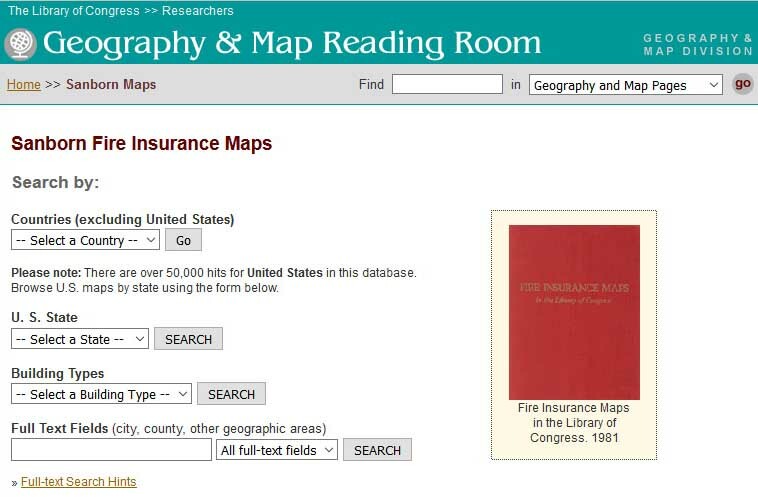 The Library of Congress online checklist includes thousands of Fire Insurance Maps from many states across the United States. 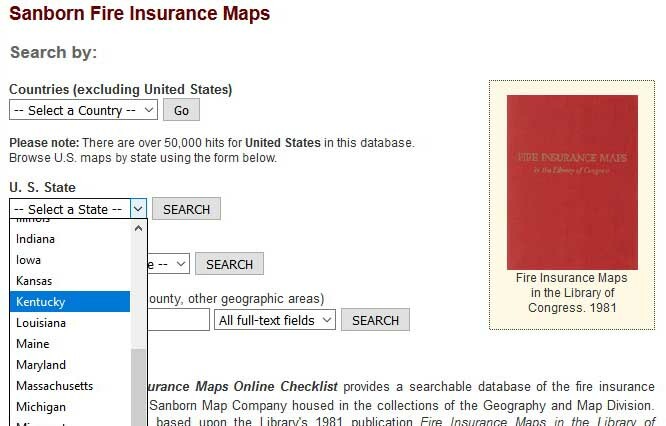 To use the Library of Congress online checklist, selct the state your city is in and press the Search button next to the state box. 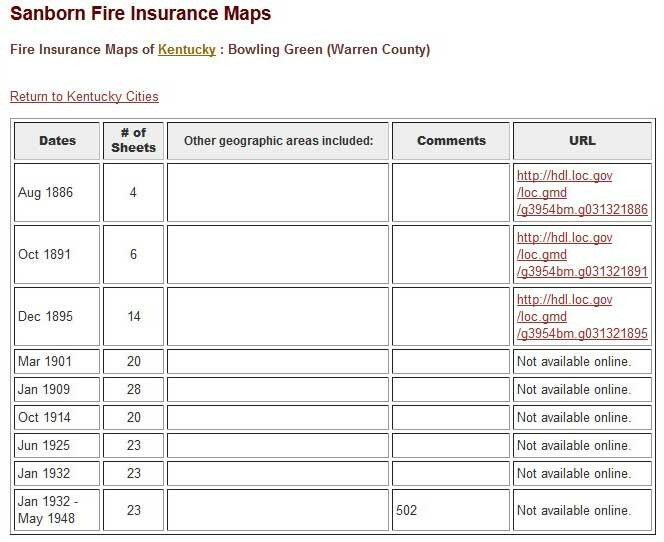 You will be directed to a page listing all the cities in the state. 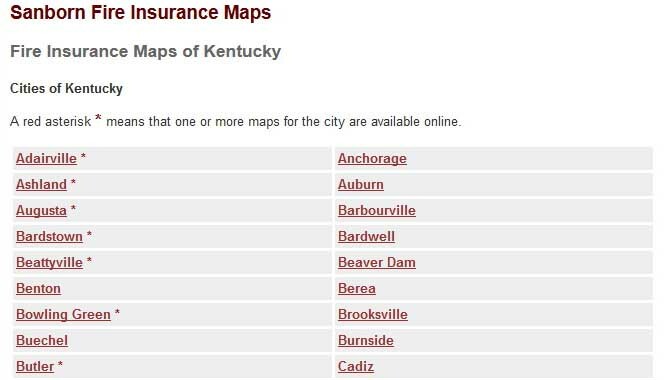 If there is an asterisk (*) next to the city name, there are Fire Insurance Maps available for that town. Click on the URL to view the maps online. Select the map you want from the list of images.